Weddings, parties, and other private events are special occasions often close to our customers’ hearts. We understand the importance of these celebrations and do our best to provide the best service possible so you can sit back, relax, and enjoy your event. Our experienced professionals have worked in a wide range of special events from wedding receptions to graduation parties to charity galas. MMS Rentals and Productions is proud to be one of the premier wedding and event rental providers in Champaign and central Illinois. 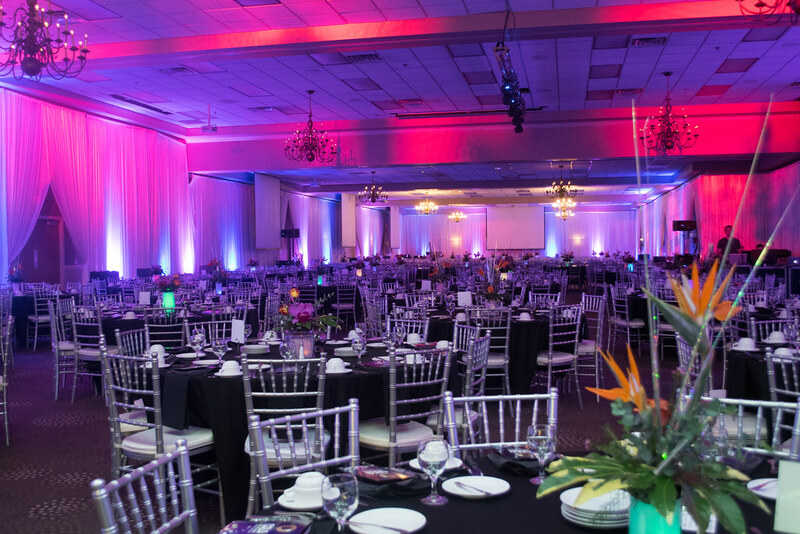 We carry everything from sound and uplighting equipment to tables and chairs or pipe and drape, making us the convenient and reliable choice for any occasion. We’ve worked in multiple private event environments and are able to provide as much or as little service as you require, no matter how large or small. Whether you only need to rent a wireless microphone or if wish for us to handle your entire event, we have you covered. MMS Rentals and Productions specializes in providing high quality sound systems. We have worked in multiple event and production venues both large and small. Combined with our years of experience and first rate equipment, we are the premier choice for wedding and event sound in the central Illinois area. For more information on our sound systems check out our Sound Equipment Rental page or call us today. Wireless microphones can provide a clean and convenient component to any event. Whether you need to toast the bride and groom, announce the winner of a silent auction, or just address the crowd, microphone cables can get in the way and make your life more difficult. Wireless microphones eliminate the encumbered hassle of standard microphones, allowing you to pass the mic along the head table or panel with ease and convenience. MMS has a full stock of wireless microphones perfect for any event, be it casual or professional. Uplighting and projection are a great way to add flair to any wedding or celebration. Uplighting adds a refined character to the room while blending well with almost any environment. Projection is another easy way to ornament an event. We have high end projectors which run quietly while providing bright clarity to any video, slide show, or image you may wish to project. 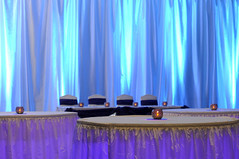 Pipe and drape is an excellent way to provide a classic, polished ambiance for any wedding, reception, or event. This versatile tool can be used to accent a room and enhance your uplighting while hiding any undesirable features of the room. Our pipe and drape can be adapted to almost any situation or purpose for room decoration. From simple room coverage to archways and swags, we can transform your venue into a ballroom affair you’d be proud to televise. The foundation of any private function is an elegant table and chair setup. We have a large supply of banquet tables in several and chairs in several styles suited to any event or occasion. 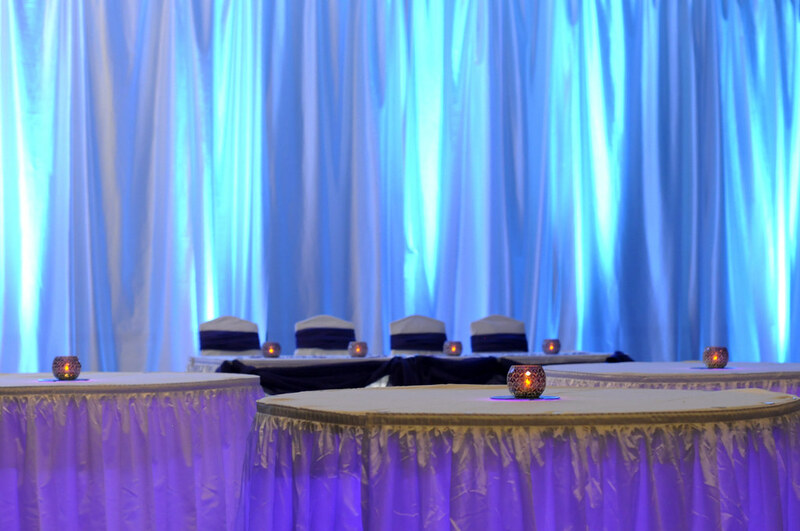 Our selection also includes table cloths, skirting, and chair covers to dress your wedding or event to your tastes. 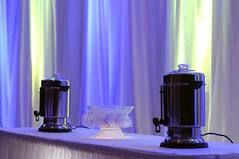 Personalized monogram lighting can provide elegant accents to your event ambiance. Using specialized spotlights and custom printed gobos, we can project your name, date, message, or logo. When projected at a wall or on a dancefloor, monogram lighting creates a refined focal point for any wedding or event. 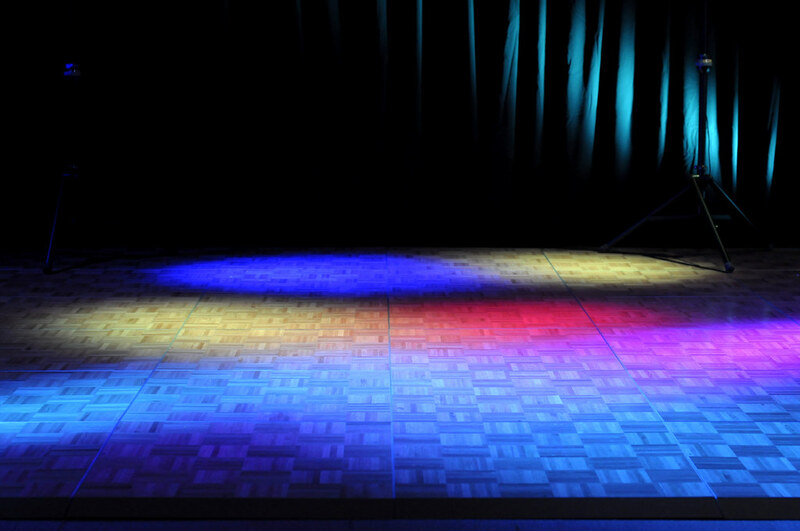 When you need to centralize an area of the room, there’s really no better way than a stage. A raised platform makes your head table, DJ, band, or showcase a focal point to any event. 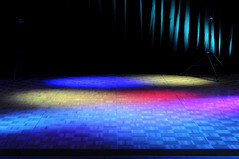 MMS has over 20 years of experience with staging platforms and can build any style of platform you need. The ‘S’ in ‘MMS’ stands for staging. I’m not kidding. No wedding, celebration, or private event would be complete without a dancefloor. Our floor level and raised dancefloor platforms provide the perfect stage for that special moment during the father-daughter dance or for you and your guests to tango to your favorite tunes.